During our weekly podcast radio show last week, one of the guests was Kathi Kresol from Haunted Rockford. I was really intrigued by the Haunted Rockford Bus Tours because Kathi sounded so passionate and excited about them. I reserved spots on the next tour for my boyfriend and I the next day! 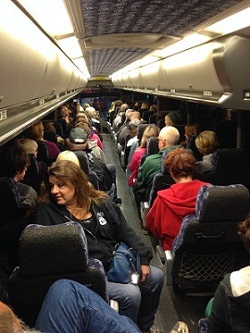 The bus tours occur every Saturday night in October and travel to various haunted locations in the area. 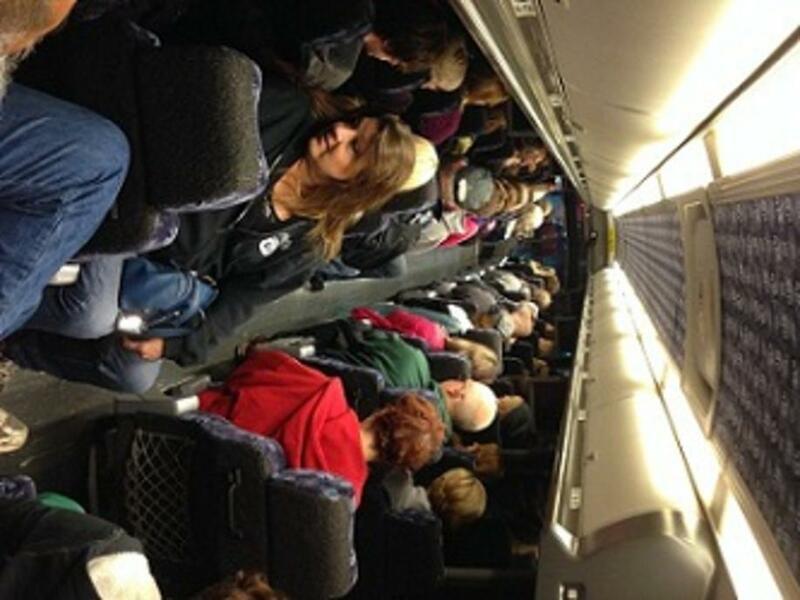 The tour was completely sold out, so the bus was packed! The first stop was the Hope & Anchor English Pub. We all gathered in the entryway to hear about the paranormal history from the current owner while the two psychics in the group walked around to get a reading of the space. Apparently there&apos;s not one, not two, but THREE ghosts haunting the restaurant! 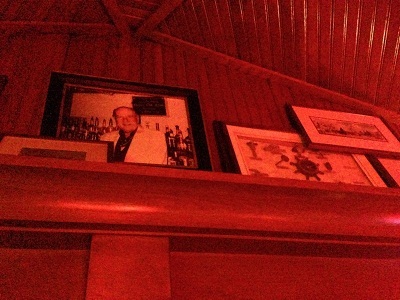 Many of the employees have witnessed one of the ghosts especially - former owner Tony Salamone (pictured below along with other old items from when he owned the restaurant). For example, if you&apos;re a blonde female and go to the restaurant, you might feel a tug of your hair or a slap on the rear from Tony (luckily, I&apos;m a brunette so that didn&apos;t happen to me!). The second location we went to was the Trolley Car 36 station. 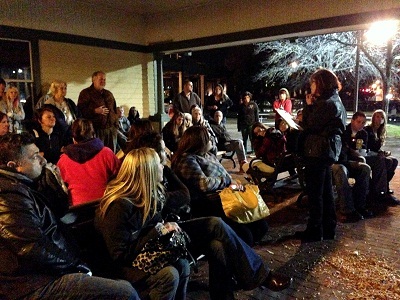 While we heard the haunting story from Kathi, the psychics were off by the bus away from us. They don&apos;t want to hear the story because they want to get their own reading on the areas. Once they were called back over, they ended up telling us about the same story we just heard from Kathi...names and all! We stopped at four more locations after this. I had no idea there was so much paranormal activity in Rockford! The psychics were very entertaining, and Kathi easily kept everyone&apos;s attention with the chilling tales of each location. I don&apos;t want to give too much away because I don&apos;t want to ruin the surprise or suspense! If you&apos;re looking for a good scare or just want to learn more about some of Rockford&apos;s history, look into the Haunted Rockford Bus Tours. Reserve your spots soon though...they sell out! Haunted Rockford also has other paranormal events including a Spirits and Chocolate Fondue Night at Lucerne&apos;s and a special paranormal event at the Manny Mansion on Halloween night. Don&apos;t forget to bring your camera or equipment to document any paranormal activity...and try not to be too scared! Visit the Haunted Rockford website at www.hauntedrockford.com to reserve your spot today!